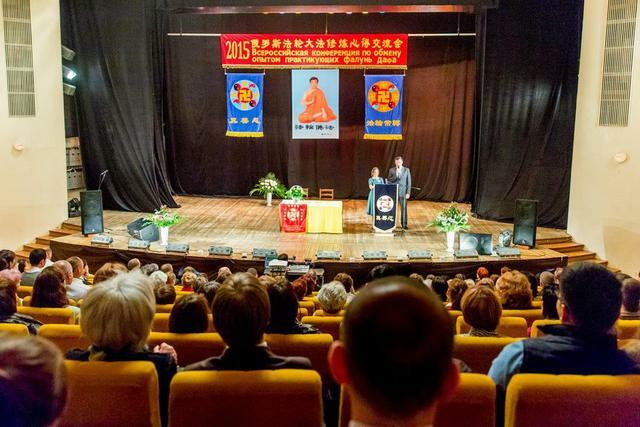 The 16th Russian Falun Dafa Cultivation Experience Sharing Conference was held in St. Petersburg from September 18 to 20, 2015. Practitioners from Russia and many Eastern European countries attended the conference. Practitioners organized public activities at several major squares in the city, staging exercise demonstrations and dance performances. At each location, there were always display boards to introduce Falun Dafa and expose the persecution in China. At the cultivation experience sharing conference, Mikhail from Moscow shared with fellow practitioners how he overcame sleepiness during Fa study. He realized that his drowsiness was because his attitude toward the Fa was not serious enough and his xinxing was not at the required level. When his xinxing level improved, he could study the Fa with concentration. At the same time, he took on more responsibilities at the group practice site and the weekly truth-clarification activity near the Chinese Embassy. Mikhail also shared his experience of reading the Nine Commentaries on the Communist Party. In a dream after the first reading, he saw a large beast putting huge weight on his body. As he continued reading the book and sending righteous thoughts, the beast became less and less, until after the fifth reading the evil pressure and substance dissipated completely. Anna from Moscow shared her experience of using her work environment to clarify the truth to different groups of people. She also shared a story in which practitioners used righteous thoughts to clear away interference at a truth-clarification event. 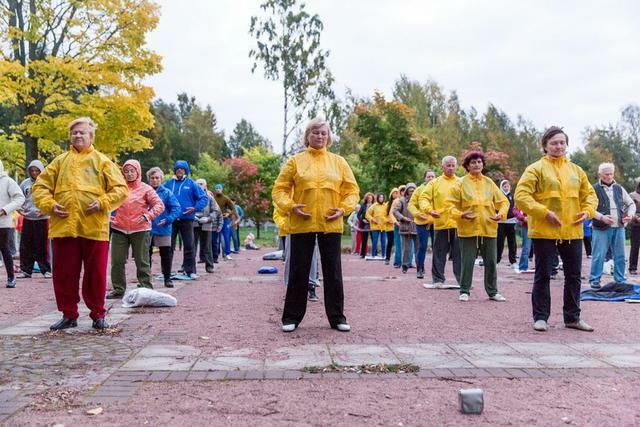 Tachafy, a Vietnamese-Russian practitioner, shared his experiences of talking about Falun Dafa to Chinese people at tourist sites. 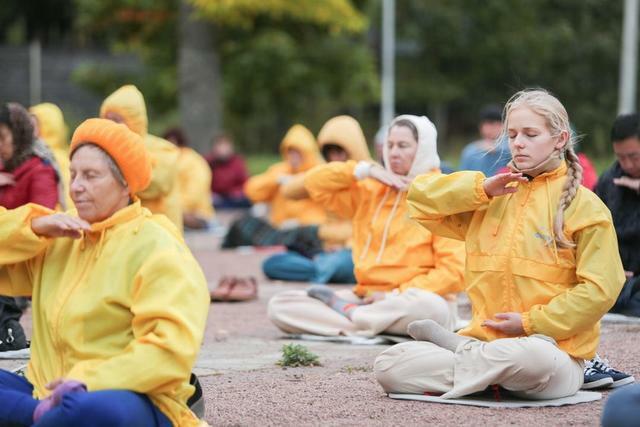 Once he was surrounded by a lot of Chinese tourists while doing the meditation exercise. 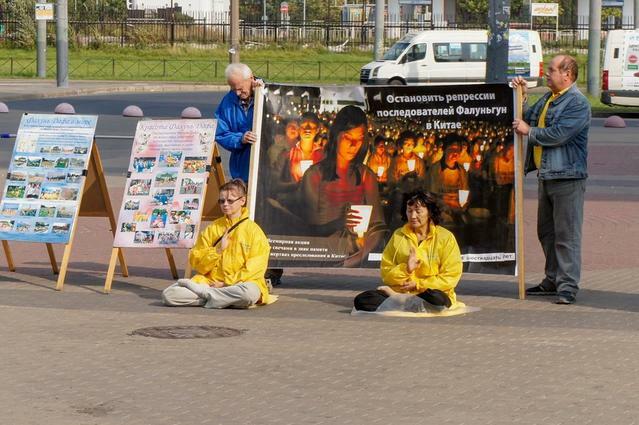 He realized that these Chinese people had come to Russia to hear about Falun Dafa. 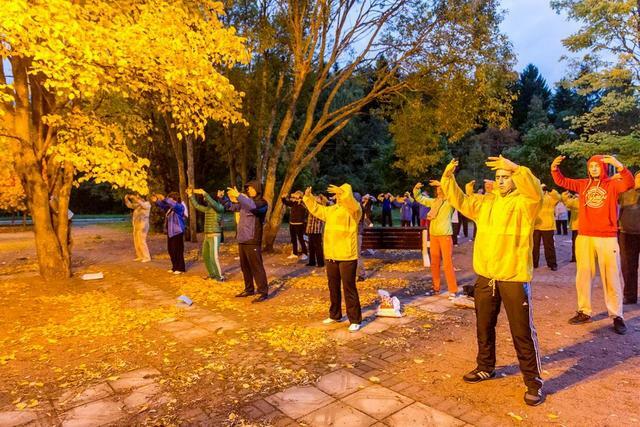 Her efforts resulted in people having a positive attitude toward Falun Dafa, including her family, neighbours and the local authorities.